for Windows, iTunes backup and office document. We focus on technology and making sure we provide what customers they need. We always adhere to the professional, attentive, focused brand idea, develop more password products for people in the world. If you forgot login password, don't worry. 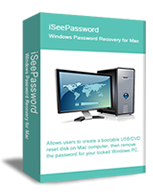 This program can recover all of your lost and forgotten password for Windows xp/7/8/10 and domain password. Simply recovers lost password to an Excel document with using three latest excellent algorithm including Dictionary attacks, brute force attacks and Mask attack. WizISO is a wonderful ISO Editor tool to burn ISO image files into a USB disk to make it bootable disk, it also can edit, extract, create your ISO file. A best PDF Password Recovery tool - Note only recovers PDF open password but also instantly remove PDF copying, editing, printing restrictions. A reliable and efficient iTunes password recovery tool which can help you reset lost password for your iTunes backup, unlock the iTunes backup then you can easily access to your iTunes data. Lost your word open password? Dr.word is proved to be a helpful tool to help you you to recover your password-encrypted Word documents. It supports a full editions of MS Word versions. If your device was damaged or stolen, you still can regain your data from iTunes backup. This program could recover data from iTunes backup without wiping data. This Android Lock Screen Removal enables you to get rid of the unknown passcode in 7 minutes, including pattern, PIN, password and fingerprint. WizBurn is a powerful ISO image file processing tool, which allows users to burn ISO to USB, DVD, CD, SD or aother storage device without getting any error. Easy to use! 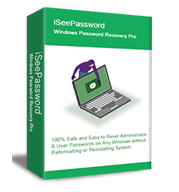 All-in-one password recovery software, integrates up 30 password recovery features to recover lost password for Windows, word, Excel, PPT, OUtlook, ZIP, PDF and more. 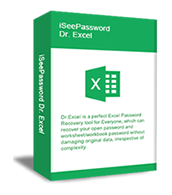 A complete suite of password recovery tools allows you to recover password from MS office document including MS word, Excel, PPT, Access, Outlook, easy to use. This is the best software which can password protect your sensitive data with complex encryption algorithm. It also can hide your files and folders. • How to Reset Windows 10 Administrator Password If Forgot? • How to Reset Windows 8 Login Password • Windows 7/8/10 Won't Boot from USB Flash Drive! How to Fix? • I Forgot My HP Laptop Password How Do I Reset It? • Forgot iTunes Backup Encryption Password? • Windows 7/8/10 Won't Boot from USB Flash Drive! How to Fix? • How to Reset Acer Laptop Password If I Forgot ?